A cute little zip pouch was in order for a little pair of ear phones. This was for one of my brothers. He was going to take a long plane ride and was complaining about not being able to wear his ear buds for very long and it was going to be a 12 hour flight. I have a pair of the over the ear head phones and have been pleased with them because I too have a problem with the ear buds. They just are not comfortable for very long. One thing I have learned about this type of ear phones however is the mesh over the device that rests against your ear does get pulled off easily. When I put these in a pocket and pull them out again it doesn’t take long and they are coming apart. This of course in my mind equates to some kind of storage device and in this instance a zip pouch is perfect. My brother is also a bit of a neatnik so this is right up his alley. I found this “manly” fabric with arrows on it, in a lovely blue/green and knew it would be perfect. I don’t know how much he actually used the ear phones, we haven’t had much chance to visit since he returned but it was a quick, fun and satisfying project. The next step in my adventure was to match up the strips and the zippers. I knew that I wanted each of the zip pouches to be unique. 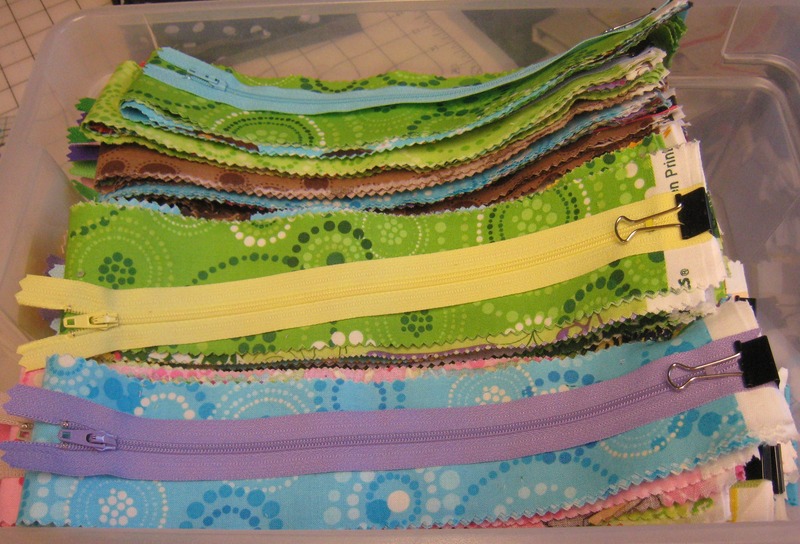 I wanted the strips in pairs of patterns and also didn’t want to be too random and stuck at the end with odd color combinations of strips and zippers. 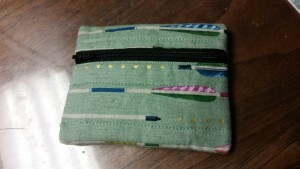 I took the roll ups apart, matched two of the plain prints with a patterned print and then added a coordinating zipper. I laid them out on the cutting table about 20 at a time and them clipped them together with a binder clip and put them in a basket. 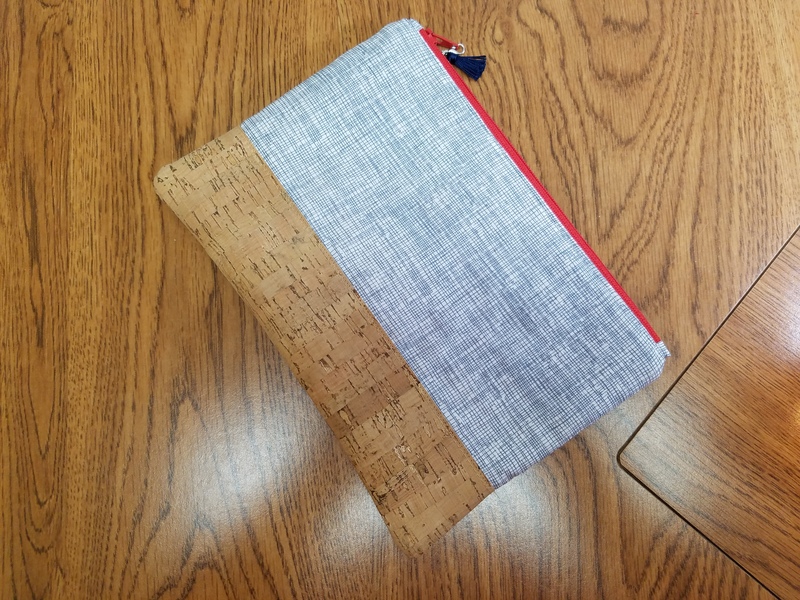 My friend and co-director volunteered to sew the strips together and press the seams open. That was a life saver for sure! With a few strips isn’t not so bad but when you are talking in the neighborhood of 70 or so.. this accounts for some extras and several “test” pouches. 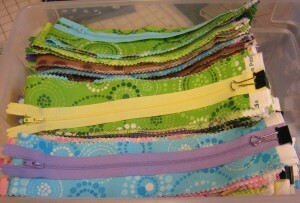 When I got the strips back from Linda, I cut the strips in half and restacked them with a layer of batting. At this point I could baste them and head for the sewing machine. Now it’s on to the next step. 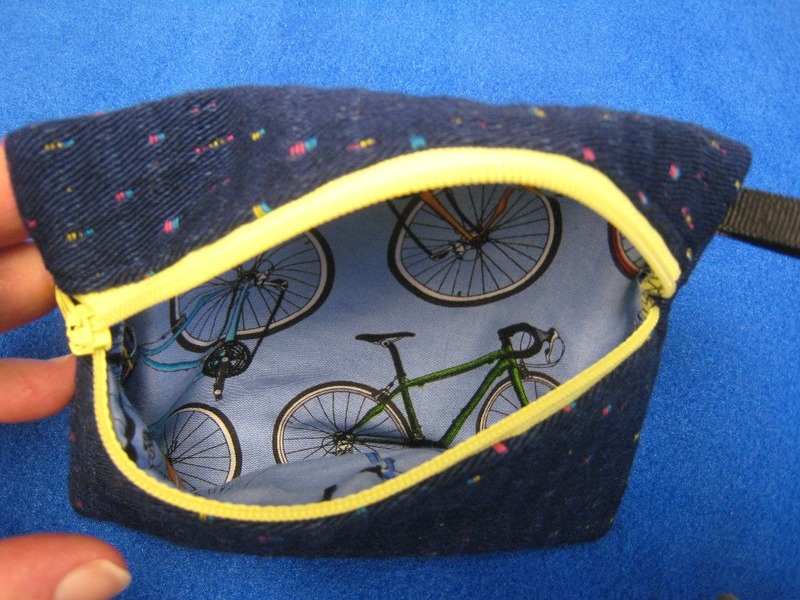 Another little zipper pouch? Yes indeed another little zipper pouch! 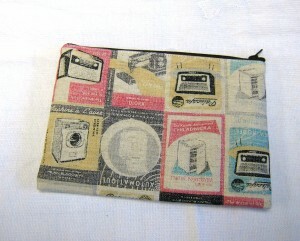 I’m having lots of fun sewing these little zippered pouches. 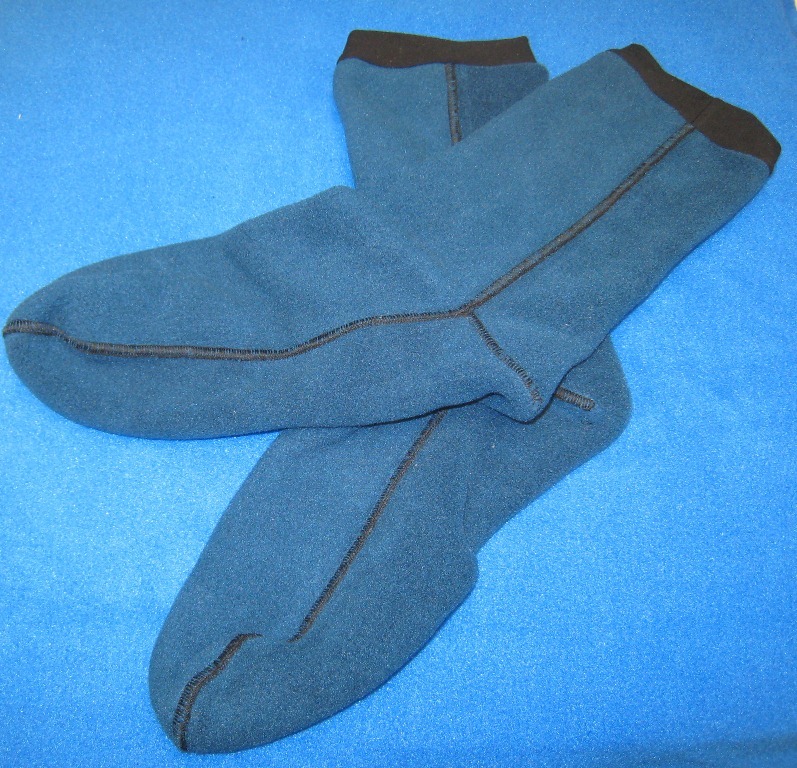 I keep working on the zippers to get them just the way I like. This one is closer. I love this chair fabric but it was too busy to use a big piece in anything so I decided to just use a section. 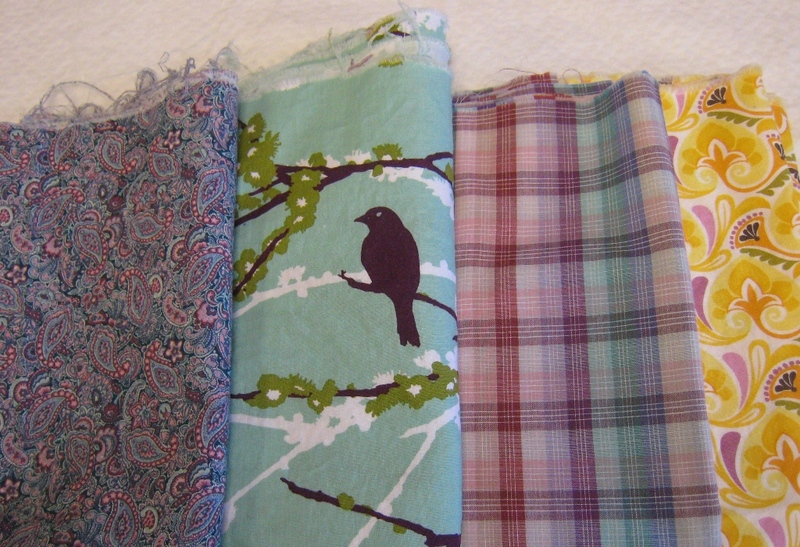 Then I had to decided on the size of the section and what other fabrics to pair it with. Decisions, decisions. This little pouch is a bit taller and not as wide as some but I think it would be perfect for and iPod and some ear buds. 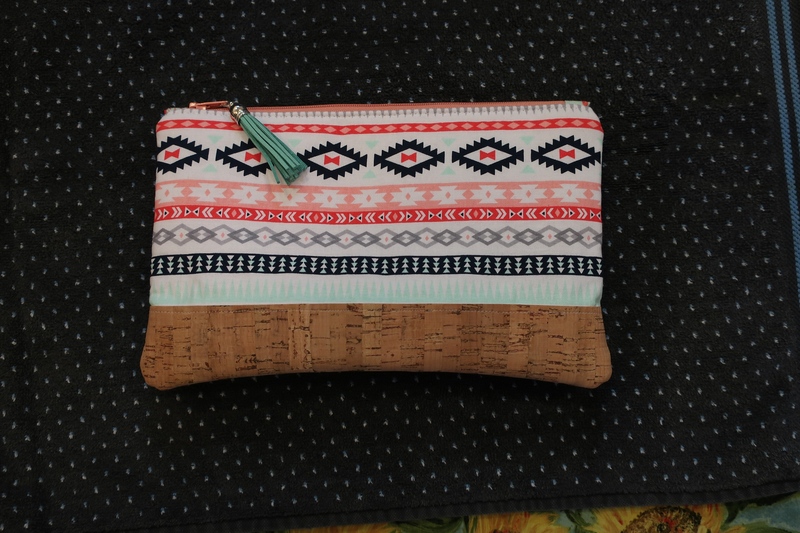 The thing I really love about these zippered pouches is that I can throw them in a bag and they don’t end up at the bottom. It’s also so much easier to find the contents and the bag when they are all together in one place. I grew up with my mother telling me “put it back where you found it!” I still try to do that because it makes my life so much easier and I’m less frustrated when I don’t have to hunt for my stuff. Zippered pouches really help. Just a little thank you seems appropriate when someone does something nice for you. Recently my sister-in-law referred me some business. Now I really appreciate that and wanted to thank her. It didn’t seem right to just give her a gift card. She probably would like that but she is a little more down to earth and I think would really appreciate something that I made. I’ve struggled with this for a while now. What color, what kind of fabric, what project. I’ve gone over the list so many times. Along with my “just do it” theme for the year I finally just pulled some fabrics and decided this would be fine. 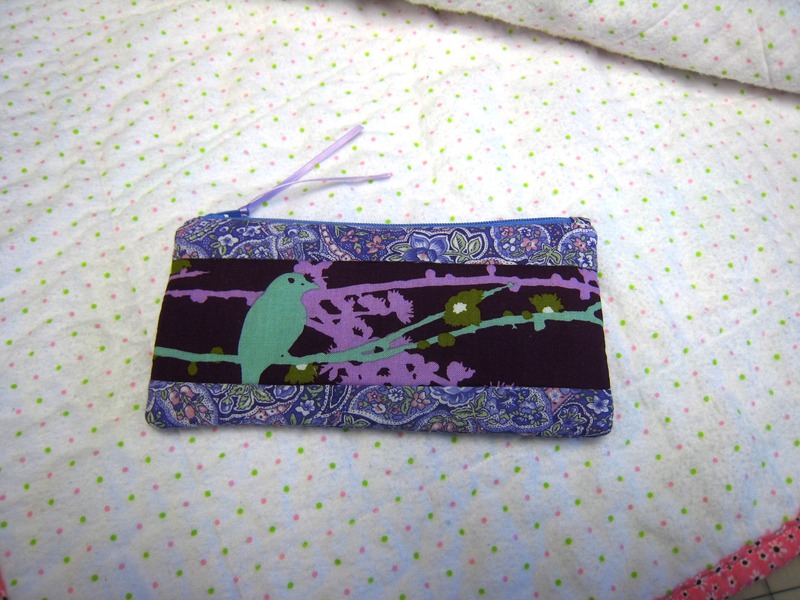 I cut and sewed and made a cute little zippered pouch that I think she will like. I think it turned out very nicely. 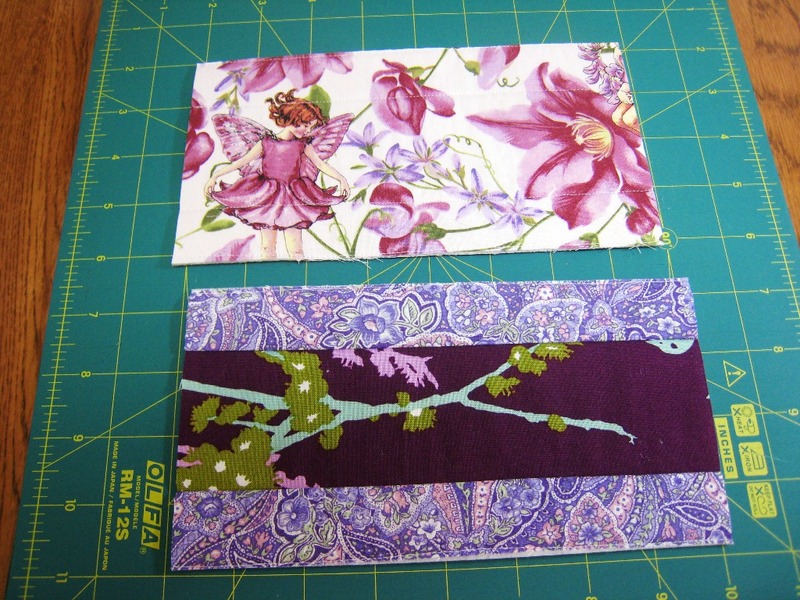 She is a gardener and she loves purple so this fabric was a good marriage of both. 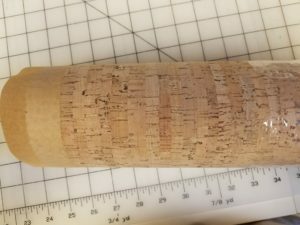 I’m also including a photo of the inside before I put them together because I knew it would hard to snap a picture when it was finished. So here it is. Lovely I think. 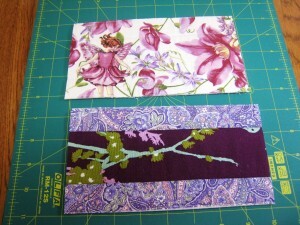 When I get the urge to sit and sew I often wish that I had things cut out so I could just “sit and sew”. 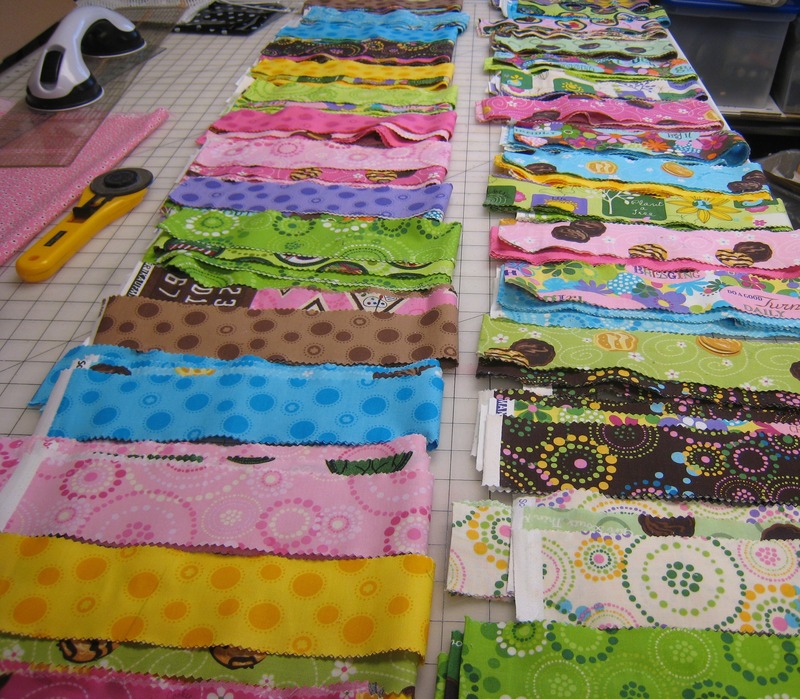 it’s frustrating when you want to just sit at the machine and have to make a decision on what to sew and the fabric choice. Now really it’s about making a decision and some days it’s just too much trouble. I came across this piece of linen that had a vintage print on it and it had already been lined with fleece. It was also a rectangle. 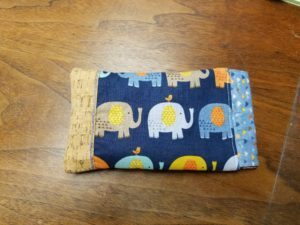 On the spot I decided it was time to make a zip pouch. I have experimented with zipper installations. I want to know what goes the fastest and still looks good. 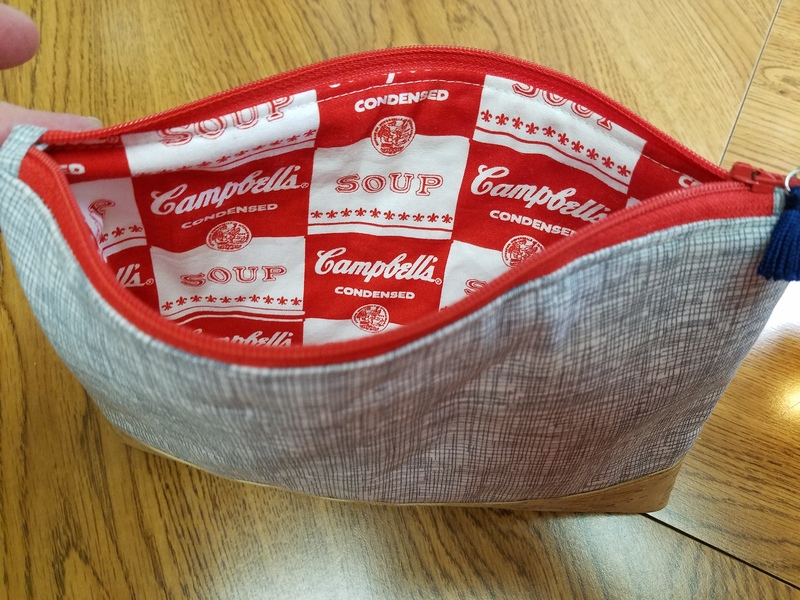 I found some fabric for lining, cut a square of the same size, did a bit of quilting so the two were stuck together and made a zip pouch. It’s cute and I do love the fabric but am not entirely happy with the zipper. It looks ok and works fine but I like them better when they are a little more finished looking. That will be my afternoon project today. 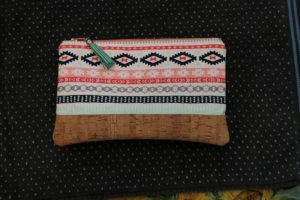 For now however, this will go in the pile of things until I need a gift of have a need for a pouch of this size. I’ve decided that I want to send a few things to my niece when I send the graduation card this week. Now she is old enough that she probably doesn’t expect anything but I think she will be surprised and pleased. The challenge is always what to send. I think it should have some practical use as well as being fun and something I think she might like. So off to the stash I went and made my selection. I didn’t really plan things to be color coordinated but it looks like that’s what is going to happen and that is a plus. When I try to color coordinate fabrics it always seems to be a challenge. I grew up in an era where you matched and not just coordinated colors and patterns. 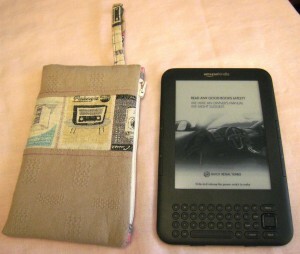 It really stretches my thinking when I go for coordinating so there is some interest and it’s not just monotone and ok. I always want that WOW factor. Sometimes I succeed in a spectacular fashion but usually it’s at least nice and I’m pleased. 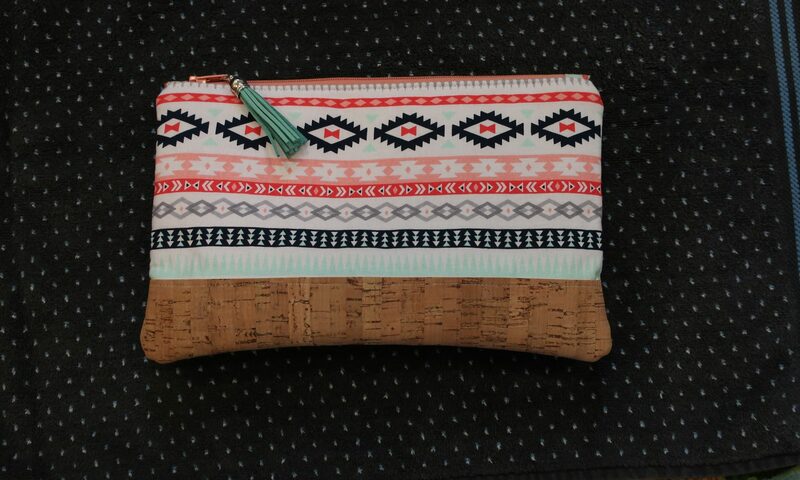 Todays project is for some travel accessories as she and her fiance will be traveling to Italy to get married in about 6 weeks. 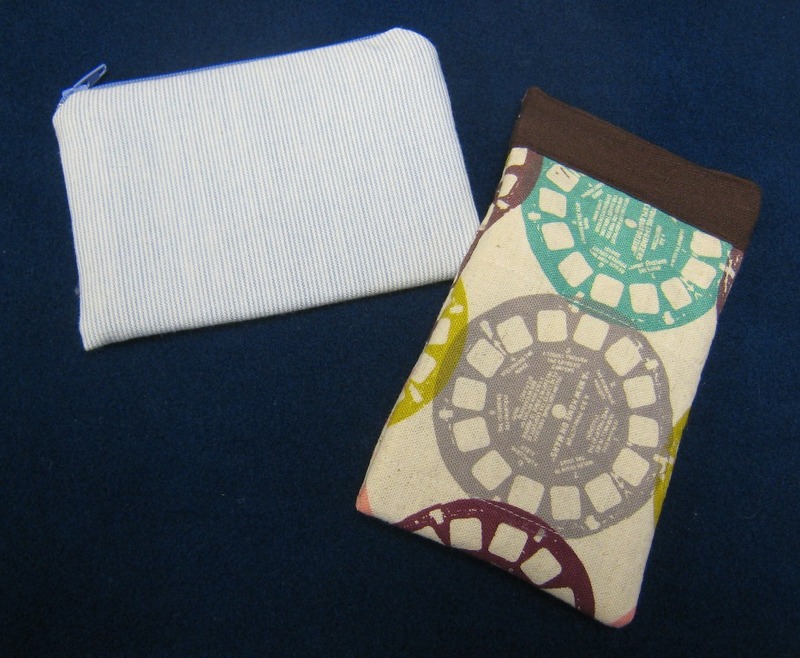 I’m going to make some shoe bags and I think a couple of zippered pouches. I do have a couple other things in mind so we’ll see how fast it comes together this evening and tomorrow. 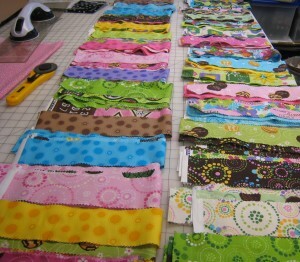 I cleaned and organized my sewing space, put away some fabric and now I’m ready to make dinner and then cut and sew. More to report soon. 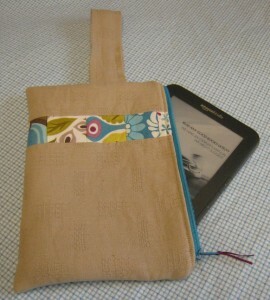 I finally finished the pouch for my new Kindle and just in time for a trip! I think this will work well. It’s protection for the Kindle so I don’t feel like it’s going to slide out of my hands when I pick it up and also will be fine and not too bulky when I slip it into my purse. 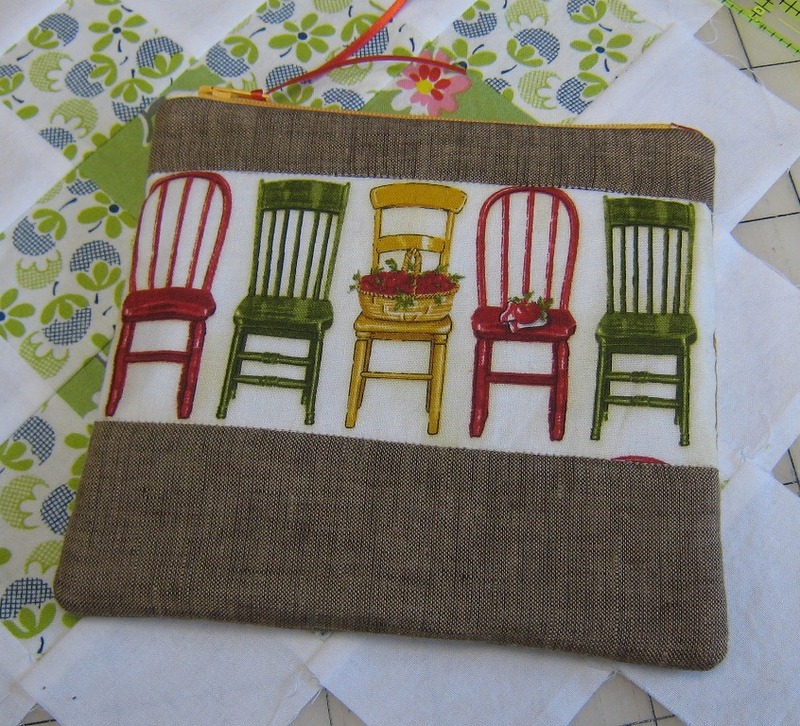 It has a bit of character where I pieced in the squares and the lining inside is fabric with cute little chairs on it. Also turquoise. It’s fun, somewhat modern and I think will meet my needs perfectly. This was a good finish. Well, I finished pouch number 1. Now I’m on to number 2. A little bit wider and a little bit longer. 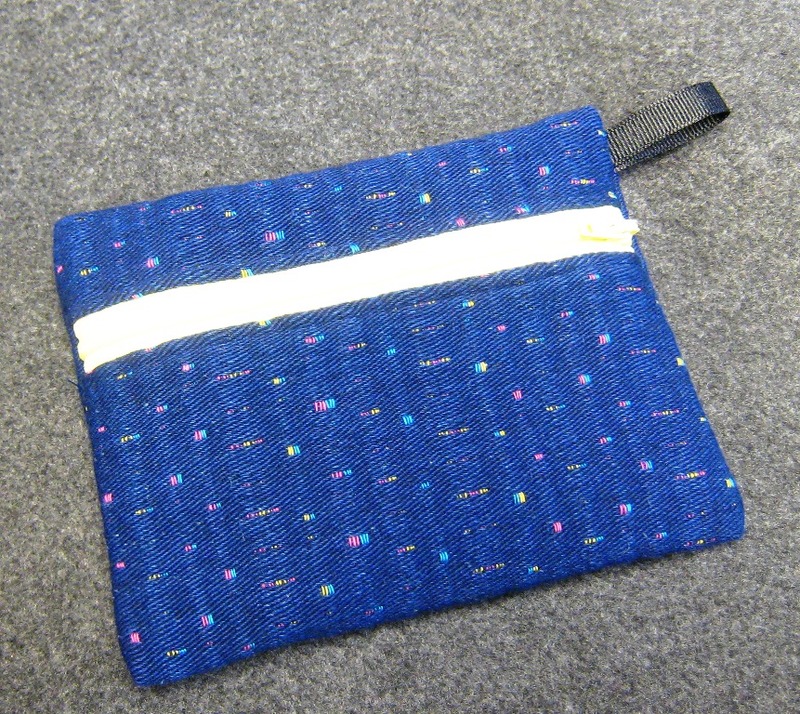 Apparently I miscalculated a bit in the depth and the width when I added the zipper and it’s just a bit too small. It did turn out very cute however and I have a new home waiting for this little cutie. Stay tuned for round 2.